Marketing of any product or service has been important point for any business to launch or to give finish and hype or boost to them. If you are planning to increase your web site traffic or product's sales, SMS Marketing is your right choice. We help businesses to promote their products and websites through Text Messaging. SMS Marketing is a combination of present-day and modern marketing techniques. Use of mobile is being increased day by day and many companies are realizing the potential in SMS marketing. 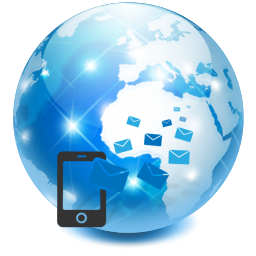 SMS marketing or mobile marketing can be used to promote any business or any product. Through SMS customer get targeted information. It is really worthwhile investment you can send your offers and being in touch with your customers anywhere and anytime. So no need to wait any more and no need to think about how to educate your costumer about your latest product and services as Quad SoftTech’s an SMS marketing utility is here to help you with cost effective SMS marketing (Mobile Marketing ) packages.